The quality of smartphone video is steadily increasing. 4K? You bet. Log files? ok-dokey. The tools you now have at your disposal allow you to enter into the immediacy of social media, as well as longer form storytelling. But you need some mobile specific filmmaking tools, along with a great story and direction, to fully realize the potential. A small camera, once moving, will reveal every bit of shake, no matter how steady you think you are. One of the best tools out there is the Zhiyun Smooth 4, coupled with the FilmicPro app. You can see the Filmic Pro app in use in the above clip of capturing night scenes with an iPhone. At about $120 USD for this, you can’t go wrong. This is a tool you really have to add to your kit. 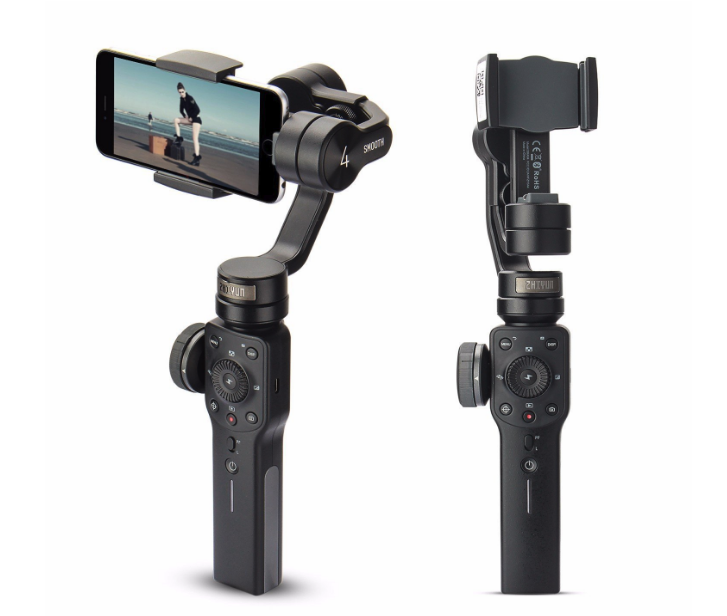 This gimbal is a well built tool with powerful motors, to keep your phone vids steady, and coupled with the app, give you a full mobile filmmaking toolbox. One of the features I love about this unit is the Wheel. you can simply use it to zoom, or focus, and thanks to the app, mark your point of shifting either.Some other units use a sliding circle deal, but the wheel just feels better for those functions. There does seem to be a bit of latency in the response time, but with practice, you will be able to adjust your moves for that. You can use this in a horizontal or vertical mode, which is best for FB Live or other mobile uses. Balancing is pretty easy, but even with being close, once turned on the powerful motors kick-in, and do the work. I also take a snap of the settings an placements to ease the deal. I did find that the grip was good for holding for a long time, and having the tripod stand was a huge addition. One of the best parts of the tripod unit is for doing time lapse, motion lapse, or vlogging. 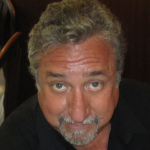 The unit itself does not have a “selfie” mode, but the software takes care of that easily. Connecting with BlueTooth was fast and easy with either app. The integration between the Smooth4 and the Filmic Pro App is seamless. That said, there are some things on the Zhiyun App I like, but I’ll stick with the one app. Take the time to work with each app and learn the depth of it. The Smooth 4 will do everything you need to physically control the phone. One thing I’m always asking is whether or not I need to remove the case to mount the phone. I suggest trying both apps, to see what you want to get out of them. Honestly, I will use the ZY app for some things, and the Filmic Pro for the main. Filmic Pro, for true manual control of your phone, and ZY for a bit more auto settings. The tripod stand also uses a 1/4-20 and is removable to break down for smaller footprint transport. Because of that, you can put the gimbal onto a tripod, for more stability, or for reach, an extension pole. Battery life is about 12 hours. It keeps going, and going. And uses USB-C for charging the unit, cable included. There is an on-board option for charging your phone as well. The company does have a love of the Vertigo effect, so named from an Alfred Hitchcock move. Basically a lens zoom with a camera pullback. The case supplied is a good styrofaom case, and although it’s great for storage, I do not use it. This gimbal is well built, and putting it right into a camera bag, or backpack, works just fine. There is a front rocker switch that uses a series of top or bottom presses to activate certain functions. Learn them. As much as we all like to get a product out of the box, charge it, and use it without looking at a manual, I’d encourage you to check out the tutorials. Some are good, some are marginal, but if you watch a bunch you will glean the info to get the most out of the unit. 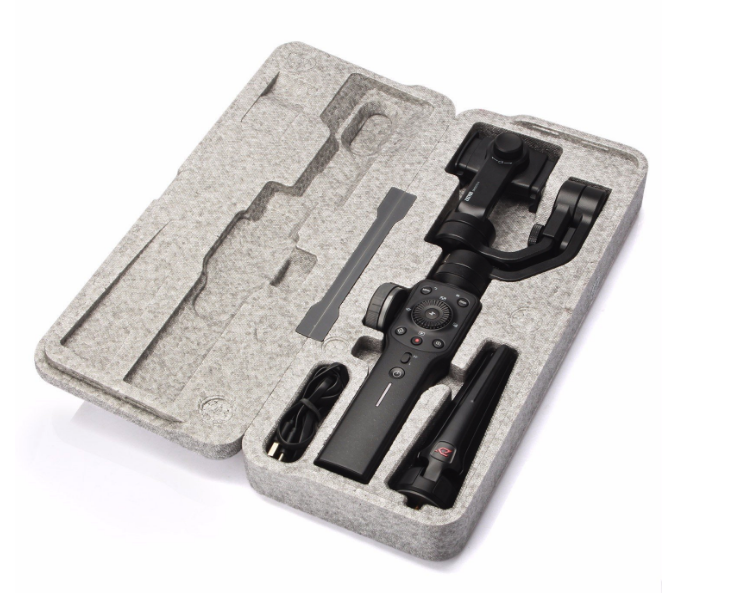 And truth be told, this is my second Zhiyun gimbal. I started with the Crane 2, for a larger camera, and was impressed by the build and ease of use. Knew this would be a great trade show floor option for my needs, and went for it. Basically, this gear is well built, has strong motors, and comfortable design elements for long day of usage. As i mentioned the battery life, at about 12 Hours, is more than enough. As you can tell by this post, the Apps have a lot to do with your video success. Take the time, Try each. More video on youtube than guide you through. Here is one tutorial on Filmic Pro tutorial.